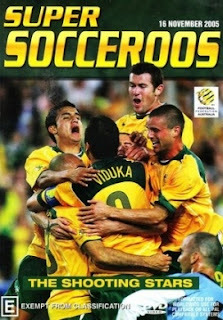 A good DVD to keep...obviously not as a Uruguayan fan. Price: $5.85 to $35. I got mine for around $8 including shipping. Super Socceroos - the Shooting Stars does all that it promises to do. 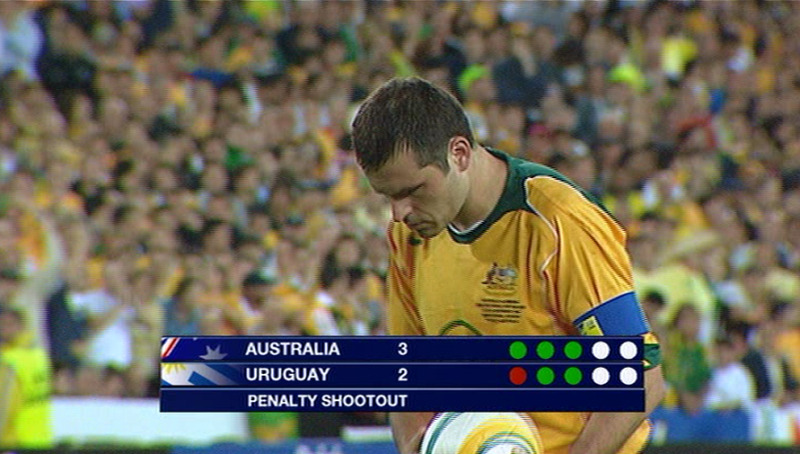 The DVD shows the CONMEBOL-OFC 2nd playoff leg between Uruguay and the Socceroos in Sydney on 16 November 2005 for a (final?) place at the 2006 FIFA World Cup. For those unfamiliar with the qualification process, this is a matchup between 5th place in South America and 1st place in Oceania. The DVD showcases the match in its entirety as was played live on that day including extra-time, the penalty shootout and post-match celebrations. Craig Foster and Simon Hill (I think) are the original commentators. Their comments are quite funny because it is so obvious that they are supporting the Aussies. The quality is not excellent - not in HD - but it will do as a record. The one negative aspect of my copy, however, is that the last 3-5 minutes is skippy and freezes on me. I am unaware if this is a universal problem but the DVD at the beginning does warn that this could happen... apparently through no fault of the manufacturers... Fortunately (in a sense) the parts that skip relate only to the post match celebrations and interviews. Now how do I score a DVD that does what it promises to do? The DVD itself offers nothing remarkable. 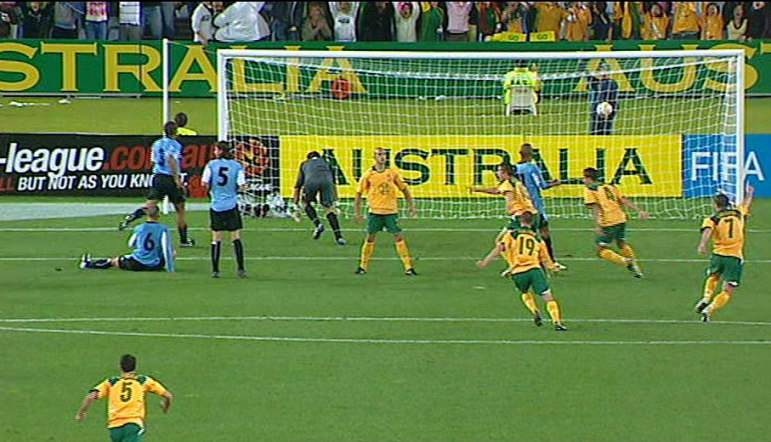 It just provides us with the match as was seen live by Australians. No editing or special presentation skills were really required of the manufacturer. On one hand, as a matter of principle, giving exactly what you promised, is almost always arguably a 10/10. On the other hand, assigning such a score would say nothing about whether this is, in fact, a good DVD to buy. In terms of my personal taste, I would give this a score of 6 to 6.5 out of 10. The DVD is very long and the 150 minutes of footage is something the average football fan (ie. one who is not Australian biased) would probably want to watch only once. Certainly if you've never seen the entire match, perhaps that is $8 well spent just to watch it once. That being said, for the Socceroos fan, this DVD is a good keepsake because it shows us all the moments in the tense lead up to the penalty shootout. 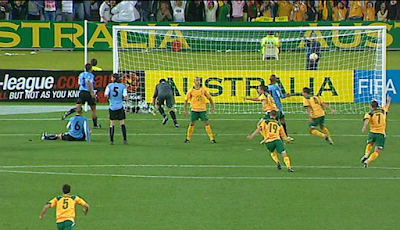 There is something nice about being able to fast-forward to the specific moment when Schwarzer saves Zalayeta's penalty or when Aloisi puts that one in. 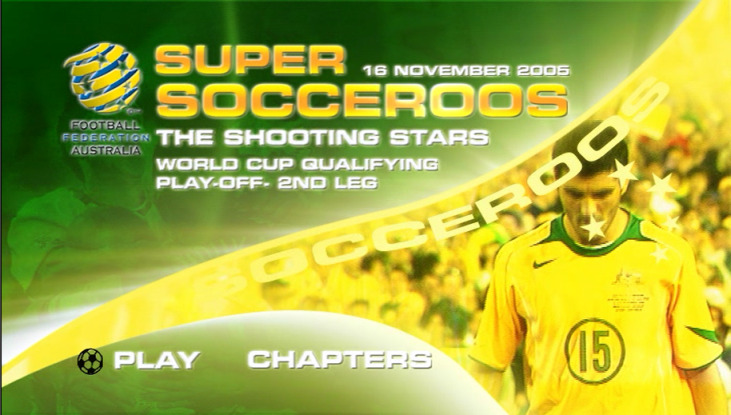 So what I will do now is show you some pictures from the DVD - which are really all moments that Socceroos fans are familiar with. 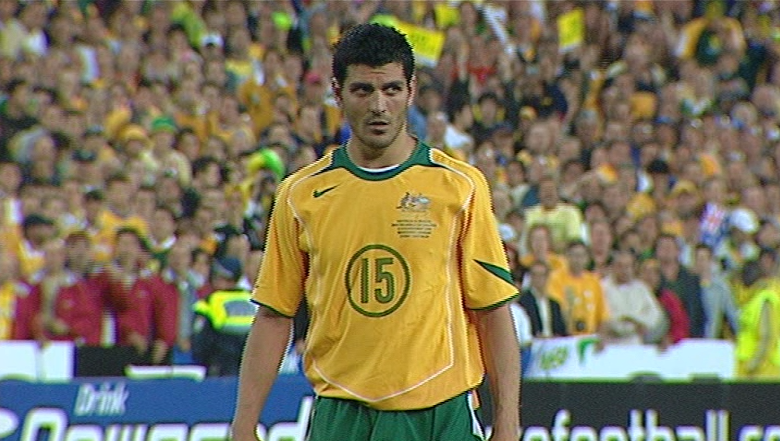 Aloisi looking like Sly Cooper. And the crazed celebrations begin. This DVD does as it promised and, really, you couldn't ask for too much more. On that basis I don't think assigning a score would be appropriate - I cannot find the right balance between rewarding the DVD for making good on its word versus my opinion as to whether this is a good buy.